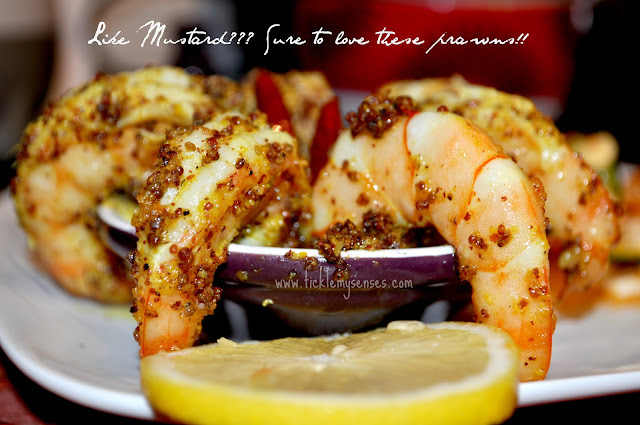 Tickle My Senses: Prawns Fried with Crushed Mustard Seeds. Prawns Fried with Crushed Mustard Seeds. 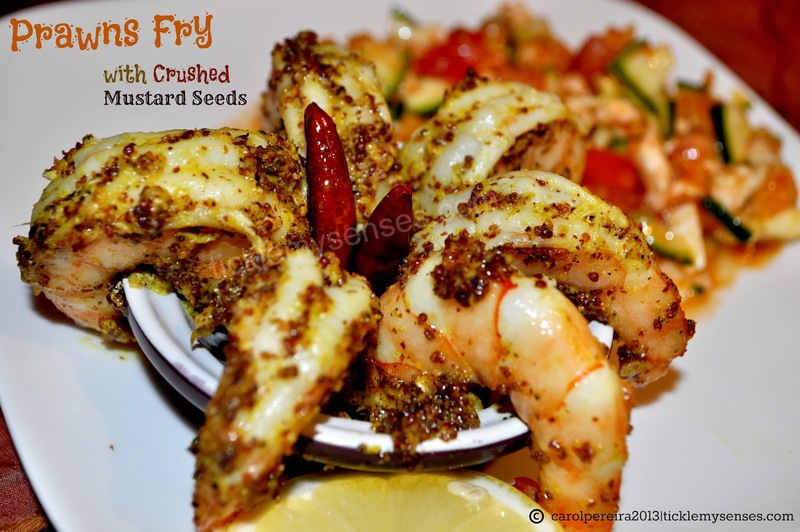 Presenting a refreshingly new style of enjoying prawns. 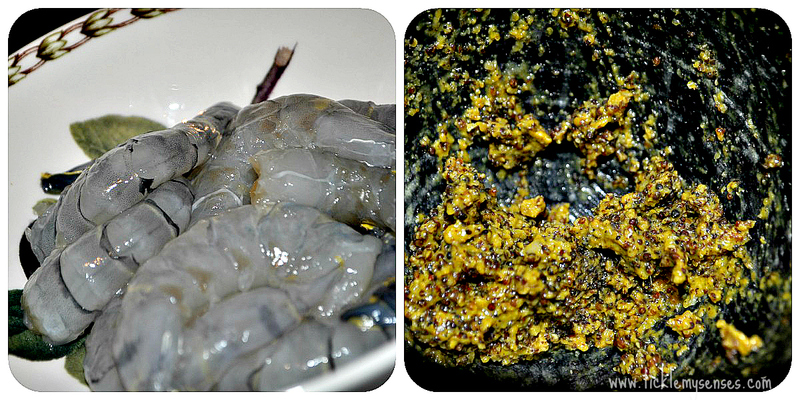 Prawns in a brand new avatar, fried in a freshly ground paste of mustard seeds thats gives you a lovely nose tingling pungency. Flavours brought to you from Bengal in a recipe by the 'Queen of Curries' "Madhur Jaffrey". 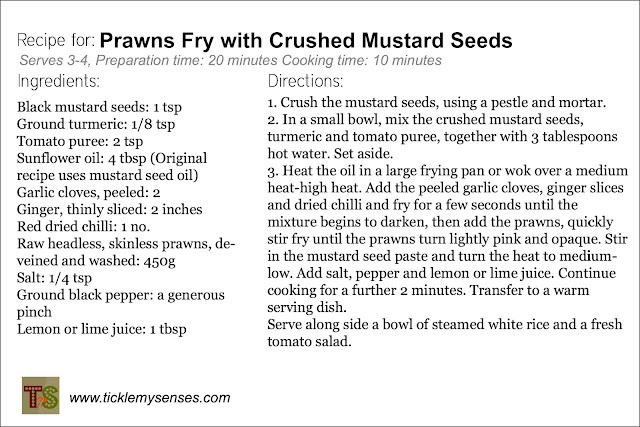 Very easy to prepare, and if you do like the flavour of Mustard, you will love this dish. Alternatively if your not a fan of Mustard why not try the much loved, Special Mangalore Style Prawn Ghee Roast. 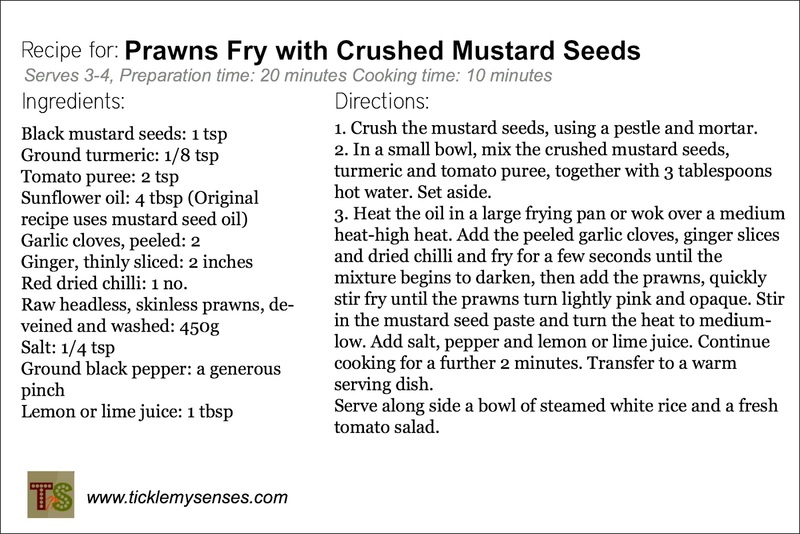 Recipe Source: Madhur Jaffrey's Essential Curries. 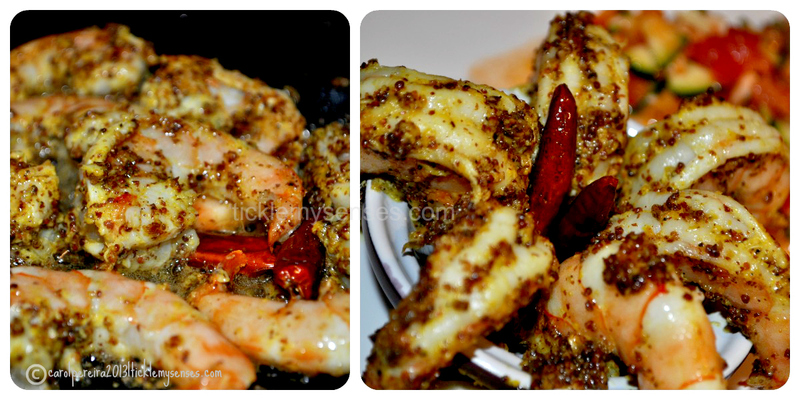 Do drop me a line on what you think of the recipe or how you liked the dish. Would love to hear from you. Utterly Butterly Delicious: Davangere Benne Dosa. Creamy Chicken Pie with Peppers for little ones.